This morning, Dad went off to salivate after cars at the Mazda Museum. 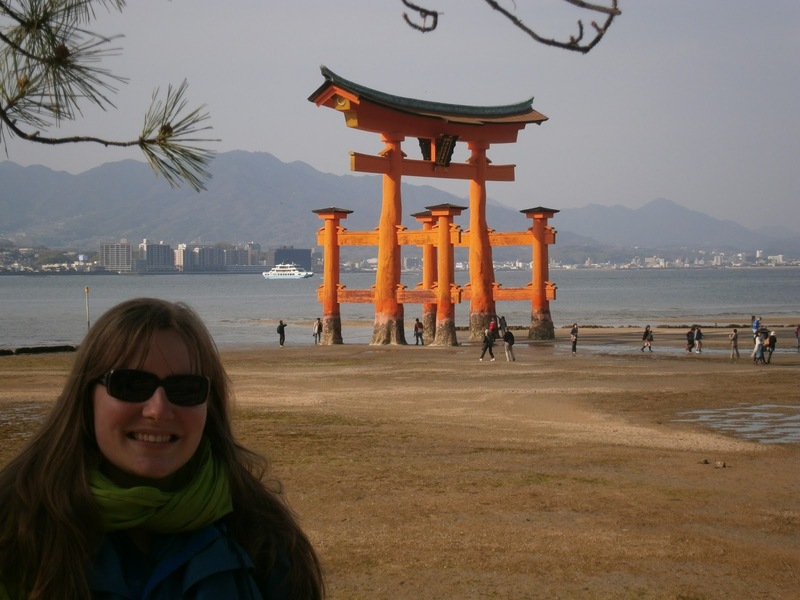 Margaret tagged along because she had already seen the Hiroshima Peace Memorial Park, which is where Marnie and I headed this morning. We were only about a 15 minute walk from the hotel, so pleasant in the morning sunshine. And no rain today! Bonus. 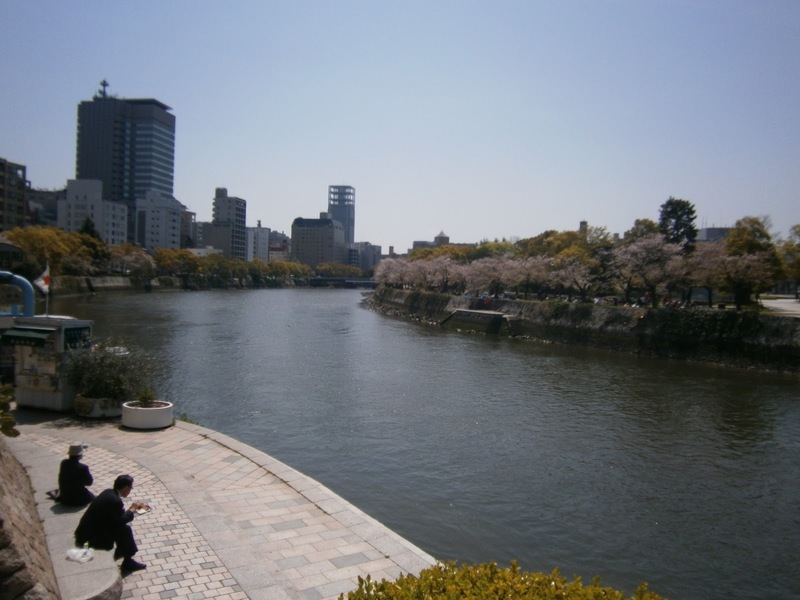 The Peace Park was built to honour the memory of everyone who died when the atomic bomb was dropped on Hiroshima in 1945. We learn about this in school, obviously when covering World War Two, and I was expecting a pretty heavy experience. Last year when I went to the Holocaust Museum in Berlin, I was so overcome partway through that I actually couldn’t finish it. This was different, for several reasons. Don’t get me wrong, it was incredibly affecting, and I had a bit of a cry more than once. But there was such a sense of hope and beauty and peace and forgiveness that permeated the entire park, that the doom and gloom seemed to be balanced out. There are some truly beautiful statues and monuments in the park, too many to list, but a big highlight for me was the Children’s Peace Monument. Donations of hundreds of thousands of paper cranes have poured in from all over the world, for the decades that the park has been open. This is how the paper crane came to symbolise peace, and there are beautiful artworks and displays made entirely of paper cranes. 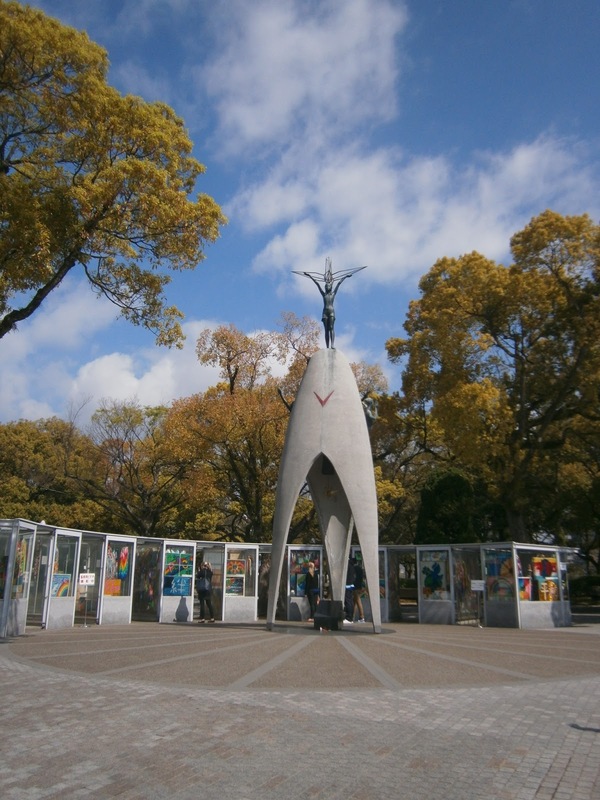 Atop the monument stands a statue of Sadako Sasaki and her story is very poignant, and involves the paper cranes. 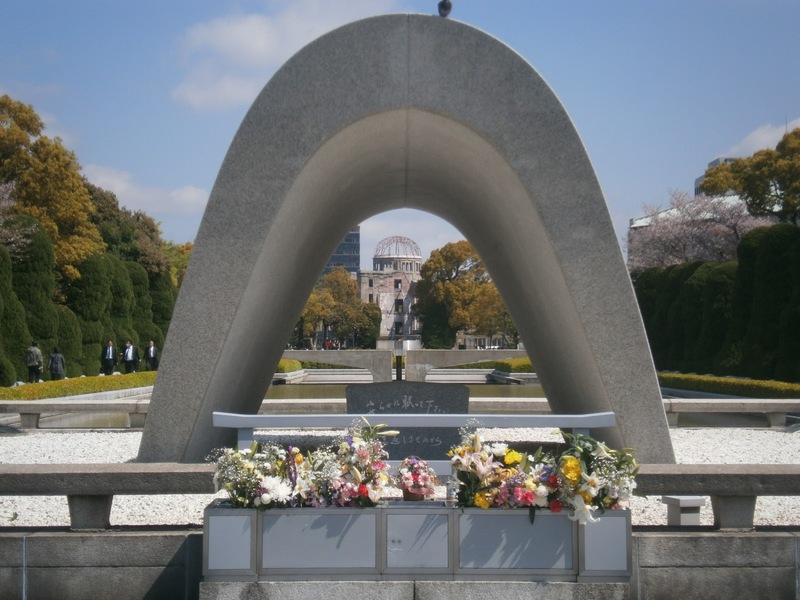 There is also the Atomic Bomb Memorial Mound which contains the ashes of 70,000 unidentified victims, and the Memorial Cenotaph, containing the victims names. 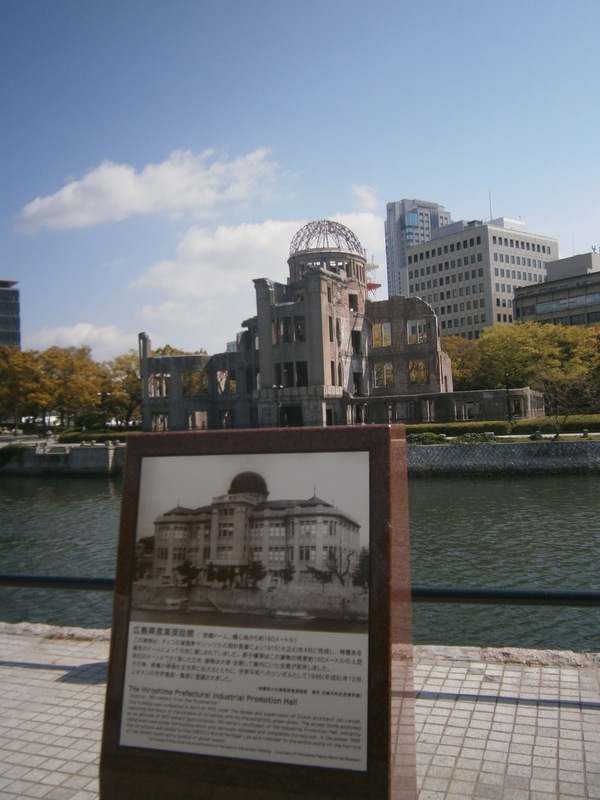 Presiding over the park is the A-Bomb Dome, preserved from the day the bomb dropped. This skeleton building is incredibly eerie, but strikingly effective. Marnie and I went into the Museum itself. We chose not to visit the Memorial Hall which contains the names and portraits and stories of the victims, because when I did that at the Holocaust Museum, it was too much, and I couldn’t handle the rest. The larger museum gives a less personal, but still very touching and brutal account of the war leading up to the bomb dropping, and the terrible long-term results. 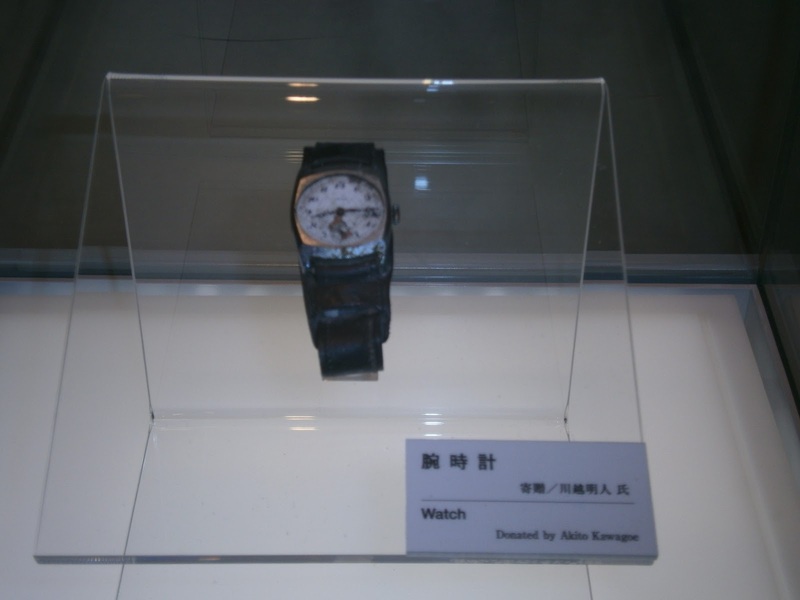 The city of Hiroshima is, understandably, completely and 100% opposed to all nuclear weaponry, and it is their aim, along with help from all over the world, to completely abolish and destroy all nuclear weapons, so there was a lot of general information about the dangers of nuclear weaponry. Very thought-provoking stuff. Towards the end there are some detailed photographs and descriptions of the injuries to humans caused by the bombs and it’s terribly difficult to take in. Marnie remarked that if everyone in the world was brought through the museum, she didn’t know how nuclear war could continue to be an ongoing possibility. It was completely devastating, but I am glad I did it. A very important and worthwhile visit. We needed a bit of a break after that, so we bought some paper cranes and coffee and ice-cream and went and sat down by the river in the brilliant sunshine (which, as I discovered later, burns quite efficiently). We HAND FED sparrows, and they hopped up on my knees and my fingers to take the crumbs. 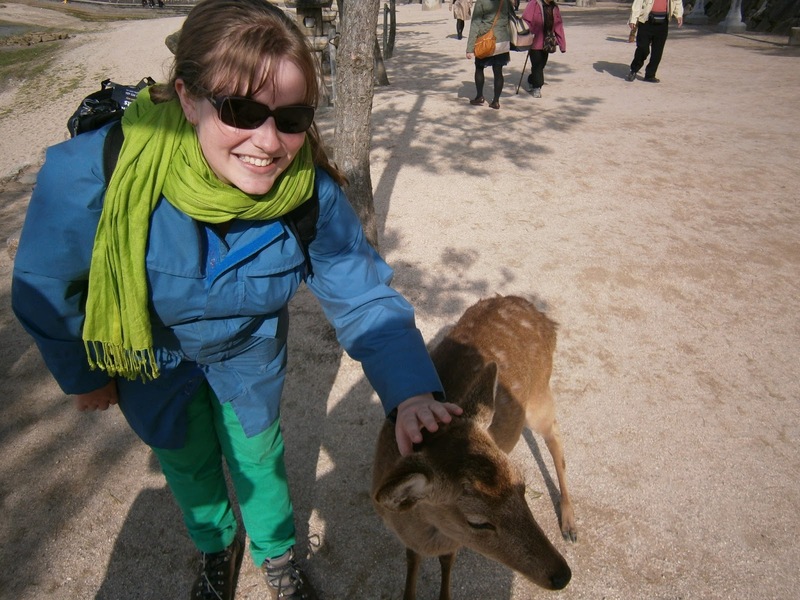 It was the cutest thing in the world, ever, until later on when we saw the deer again at Miyajima. We met Margaret and Dad for lunch and swapped stories, before we all headed back to Miyajima, ready to enjoy it in the sun rather than the rain. We took the tram and then the JR ferry which was free with our rail pass, and spent a few blissful hours wandering up and down the shopping street buying souvenirs, stopping for coffee and cake, petting deer (one of whom ate my Peace Park brochure right out of my pocket, cheeky berk), and walking right out to the the torii gate. The tide was out, and when you got up close, you could see offerings of coins stuck in between the barnacles and all over the sand. 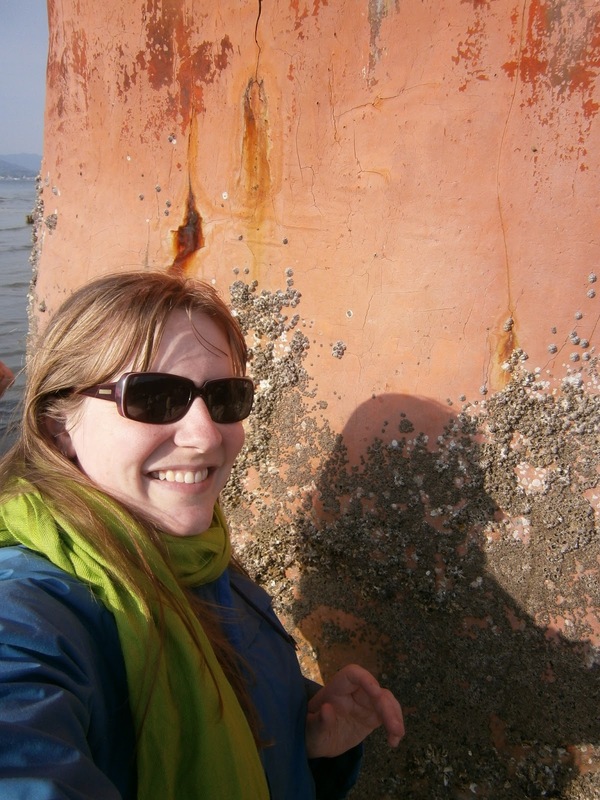 The barnacles sucked themselves in when you touched them, and the orange wood was brilliant up close. 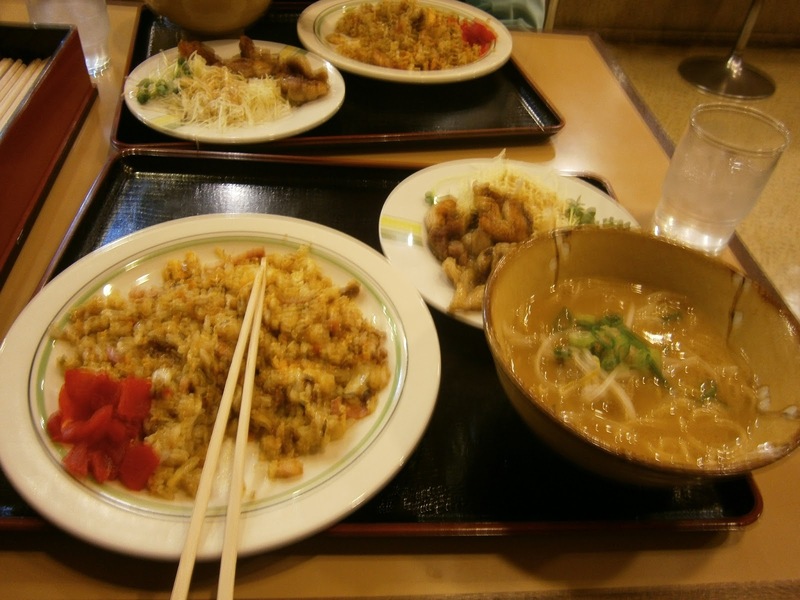 By the time we got back from Miyajima, it was dinner time and we found a little diner that did incredibly cheap and delicious food. I got a bowl of ramen, a big plate of fried rice and a plate of chicken and salad for 550yen which is about $5.50. It was a staggering amount of food. Now we are back at the hotel, attempting to repack our luggage so we can fit everything we’ve bought! Kyoto tomorrow! 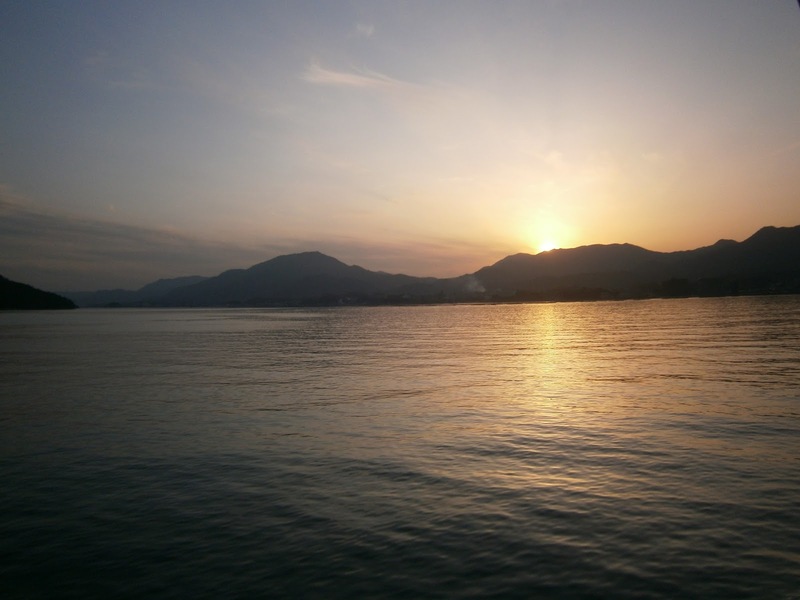 Next > Kyoto – finally!